Cornerstone Supports clients Tom Newman, left, and Kim Vermillion, seated at table, talk with Kim's mom, Vickie, who owns Cornerstone. Vickie says she's closing the company because of state Medicaid reimbursement cuts. “What do you want to do?” asked Vickie Vermillion, Cornerstone’s owner. “A cookout or something,” Thompson said. As they planned the barbecue, another client sitting nearby started crying softly. Vermillion stopped to comfort him. Vermillion is closing Cornerstone at the end of October because of a Medicaid reimbursement change the state made in May to help close a budget gap. She said the state’s restructuring of the residential pay policy will result in a cut that’s too deep for her company to absorb. 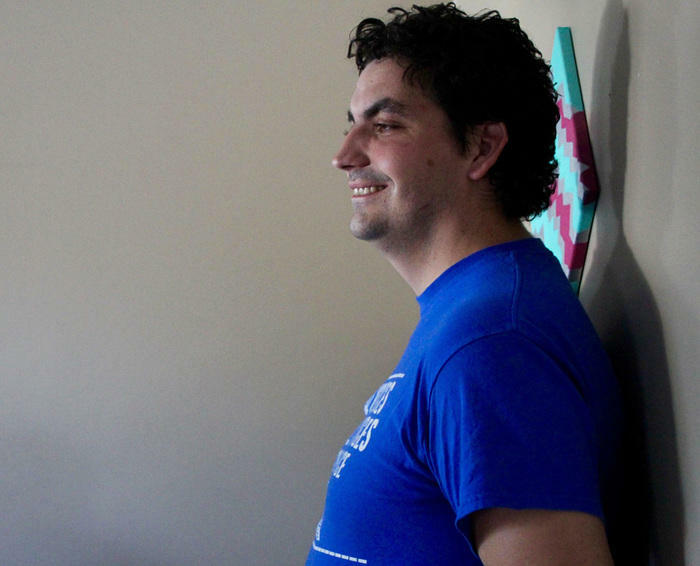 People who help Kansans with disabilities find support services say providers across the state are struggling to adjust to the policy change. Some smaller companies, like Cornerstone, are simply unable to do so. Derek Laney, director and CEO of a company that provides disability support services in southern Iowa and eastern Kansas, said he foresees more closures and consolidations. Laney said he knows of at least one other Kansas company that is closing and has approached his company, Kansas Focus, about taking on its clients. “We’re committed to doing that for as long as we can stay financially viable,” he said. 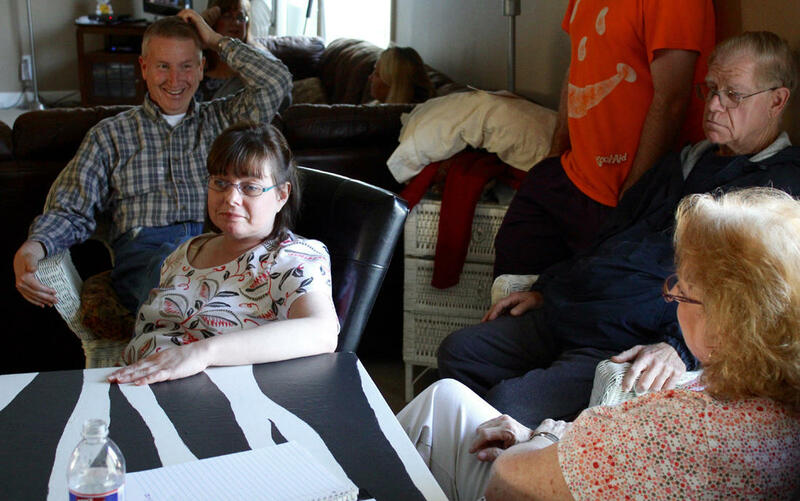 Kansans with developmental and intellectual disabilities who want to receive the services have faced a waiting list for years. The loss of providers like Cornerstone could make it more difficult for them to find the services, even if the state has enough funding to pay for them in the future. 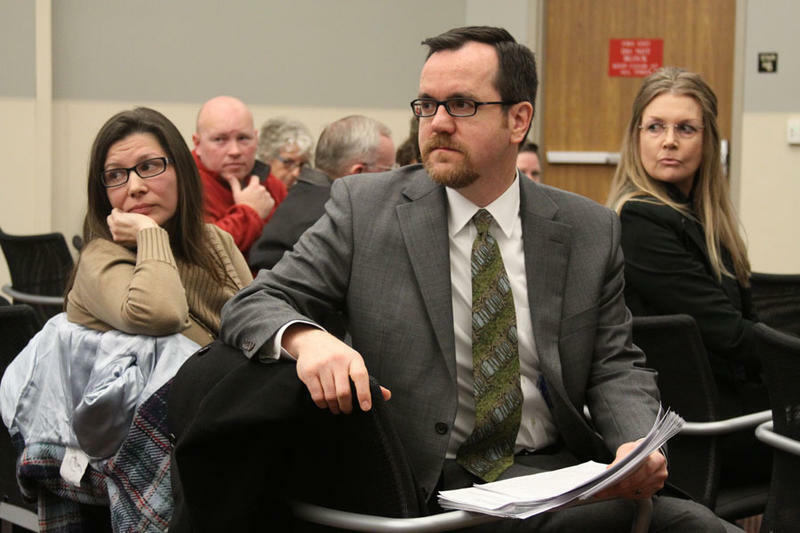 Chad VonAhnen, executive director of Johnson County Developmental Supports, said that if the provider network shrinks, more Kansans with developmental disabilities will be unable to make the decision to live independently, which is less costly than institutional care. A community developmental disability organization, or CDDO, assesses Kansans with disabilities to determine what services they need. VonAhnen’s organization is one of 27 CDDOs throughout the state. Kansans with disabilities are assigned to one of five tiers based on the level of services they need. Reimbursements for each tier are calculated on a monthly basis and split into equal payments for each day of the month. Those payments used to be made even if the client did not need services every day. The policy change the state enacted means that starting this month, providers are to bill only for the days when clients need services. Jerry Michaud, executive director of Developmental Services of Northwest Kansas, said the change sounds reasonable on its face. But it makes it harder financially for providers to keep enough staff to have employees on call every day of the month in case one of their clients unexpectedly needs help. The policy change was part of a package of $56 million in Medicaid cuts Gov. 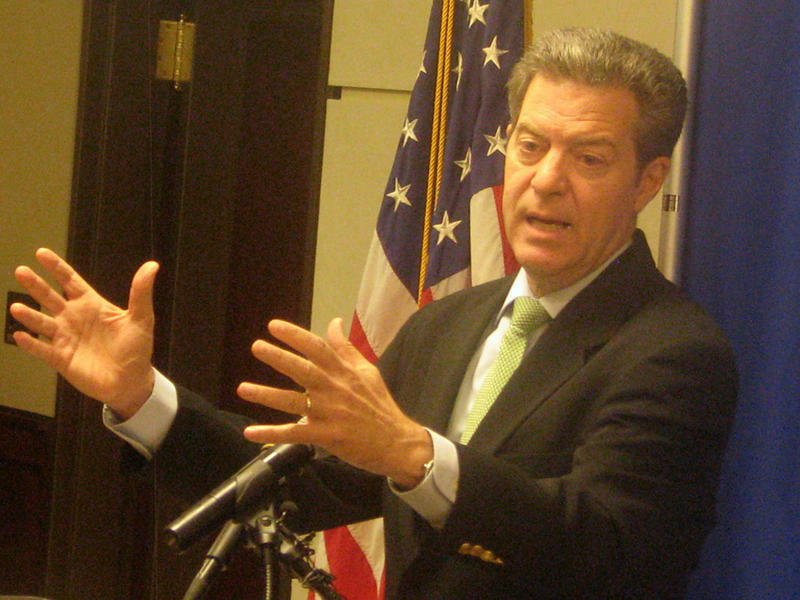 Sam Brownback enacted in May to balance the budget. Providers of the home and community-based services, or HCBS, were spared the 4 percent cut that providers of medical services had to absorb for Medicaid patients. But Laney said most providers like him would have welcomed a 4 percent cut rather than the residential pay policy change. He thinks that change will reduce payments to his company by 15 percent to 25 percent and the overall cut to all providers will be higher than the $1.3 million estimated by the state. “I honestly don’t know what the number will be, but we’re not talking just a couple million dollars,” he said. Laney said the change will create unintended consequences, including provider closures that mean clients will move to more expensive long-term care facilities or have more medical costs because they’re not getting support in their homes. Some states already reimburse providers for days served. Laney said that could work in Kansas, but state officials would have to increase the daily base rates. A change to those rates may be coming, but advocates fear it could go in the other direction. HCBS providers received a letter at the end of September from Mike Randol, director of the Division of Health Care Finance at the Kansas Department of Health and Environment. The letter told providers they would be required to submit information on their revenue, expenses and service delivery to Optumas, a contractor that KDHE hired to study their reimbursement rates. 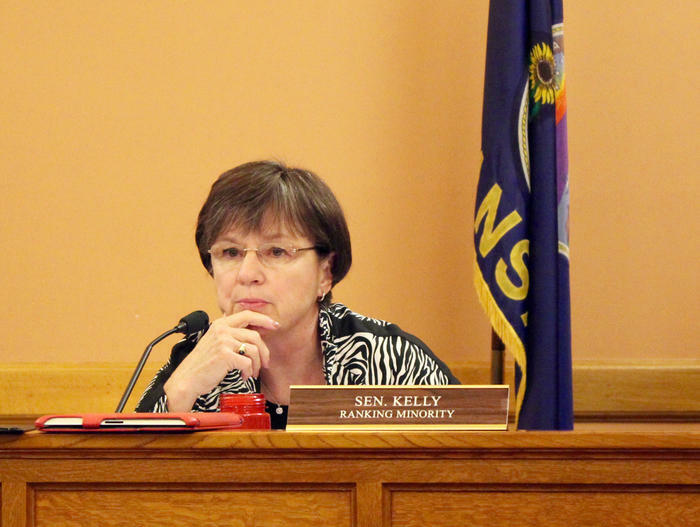 The study pertains to all services in KanCare, not just HCBS, de Rocha said, and comes on the heels of a study by a company working for Kansas Department for Aging and Disability Services named Myers and Stauffer that was inconclusive about HCBS rates. Tim Wood, executive director of an advocacy group for HCBS providers called Interhab, said what concerns providers is that the new study requests information about their ability to raise money through sources other than state Medicaid dollars — such as county property taxes or grants. He said he thought that was unprecedented. “We’re in the process of trying to figure out how to respond to this,” said Wood, who doubts the new study will result in higher reimbursement rates. De Rocha said the request is aimed at keeping provider networks intact. “As viability of Medicaid providers in important to the state, we are trying to get a more comprehensive look at the entire fiscal situation of these providers,” de Rocha said. The last time reimbursements were increased was almost 10 years ago, and providers said their costs have risen since then. Michaud’s network, which stretches across 18 counties in northwest Kansas, consolidated some providers two years ago. Tim Cunningham, who runs a CDDO called Tri-Valley Developmental Services in Chanute that serves four southeast Kansas counties, said the providers in his network have shrunk their workforce from 172 employees to 131 in the last nine years even though demand for services has dropped only slightly. With the state budget still tight, Cunningham said he fears the new Optumas study will be used to justify rate reductions. Vickie Vermillion says she opened Cornerstone Supports four years ago because she wanted her daughter, Kim, to be able to live independently with just one or two roommates. Vermillion founded Cornerstone four years ago because she wanted her daughter, Kim, to be able to live independently with just one or two roommates rather than in group homes that house up to eight adults with disabilities. 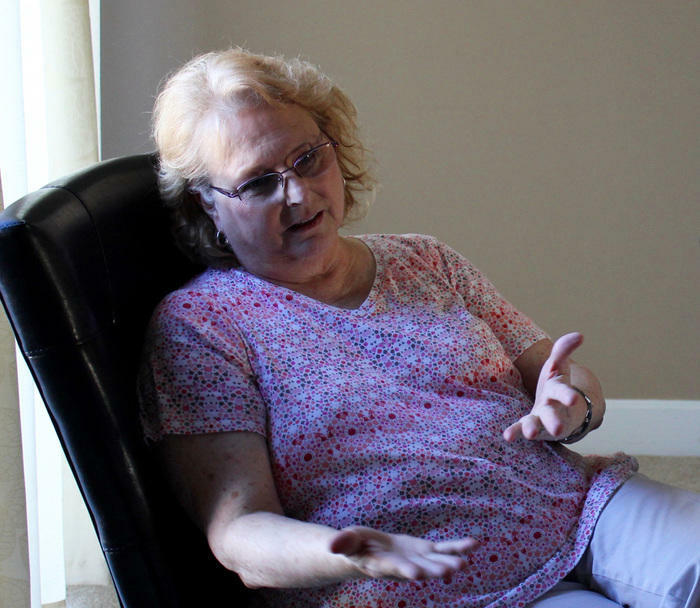 Her agency now serves people in three houses and four apartments across Olathe — none with more than three residents. “My goal was to have small homes,” she said. But it takes more staff to make that model work, and Vermillion said it’s no longer financially viable. When Cornerstone closes, Kim will come back home and live with her. Vermillion has lined up services for some of her other clients that will allow them to stay in their current houses. Others, like Betty Hauber, might have to move. “I don’t think we know what’s going to happen with Betty,” Vermillion said. “I haven’t heard yet,” Hauber said. Vermillion’s clients have different levels of need. 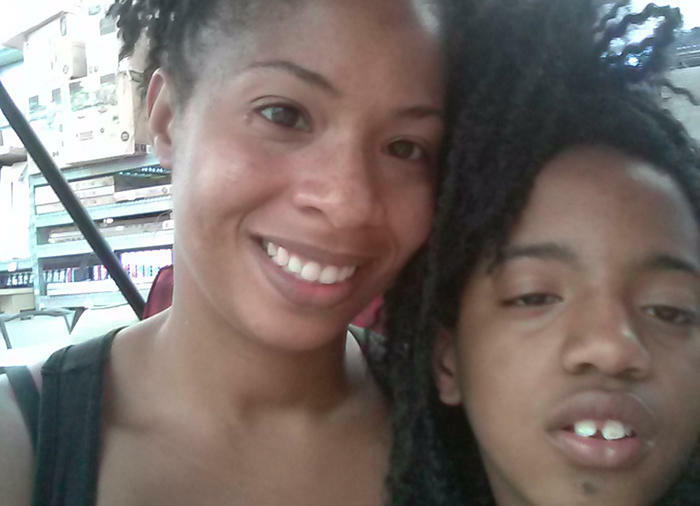 Helen Hillman, one of Kim’s roommates, needs daily support and will have to move. Colin Olenick, who is studying at Johnson County Community College to be a paralegal, needs fewer services. He will be able to stay in his house and has another service provider lined up. But he said he’s disappointed by Cornerstone’s closure because he prefers smaller providers. It’s also a challenge for Cornerstone’s 22 employees, who are looking for new jobs. Anton Bauer, who has worked with adults with disabilities for eight years, says he will miss the clients and work at Cornerstone. Bauer said he’s considering going back to school and changing careers because “there’s no security left” in his current field. He said he would miss the time spent with Cornerstone’s clients. “They become part of your life,” Bauer said. A few minutes later Thompson asked if Bauer could cook dinner that night. The two exchanged a high five.